Negotiating the price of a car is relatively easy. 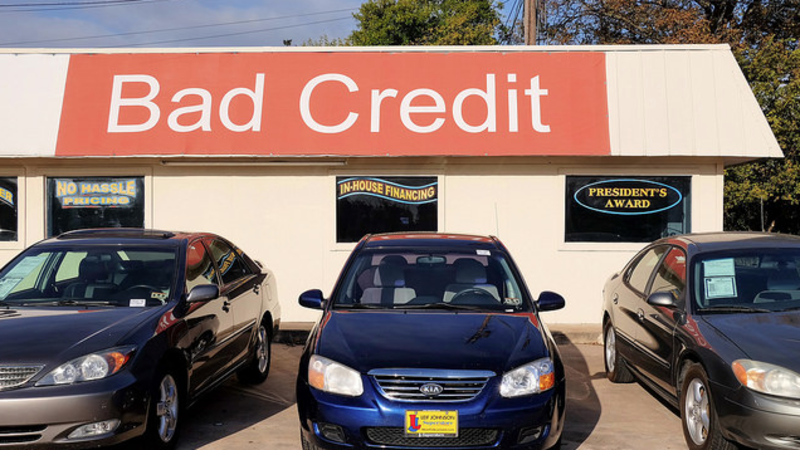 However, actually getting a loan for your car can get a bit murky due to the nature of the lending industry and how “credit” is determined, which can lead to some dishonest practices. This week’s letter comes from Randy who went to buy a brand new Dodge Charger (hopefully with a V8). He did his research, negotiated the deal and thought the loan process would be smooth sailing. It didn’t work out that way. Last week I tried to buy a brand new Dodge Charger. I got what I thought was a great deal on the car; the dealer offered me well below the invoice price plus incentives. Then I go into the finance office and they tell me I can only get approved for a loan at 8% APR! I checked my credit on one of those free report websites and the FICO was 740. I thought I would qualify for the best rates. The dealer said that those reports don’t always apply to auto loans, but they wouldn’t tell me what my credit score was according to their report. I thought something was fishy, so I got up and left. Can they lie to me about my credit score? Why am I not surprised this happened at a Dodge dealer? It’s not that all Dodge dealers are bad, but boy, in my experience negotiating car deals, many of them are a royal pain when it comes to getting an honest straightforward answer on a quote. So the thing here is that the dealer didn’t technically lie to you about your credit score. They just said that they can only get you approved for a loan at 8 percent. That is not to say that you couldn’t get a much lower loan elsewhere. You are correct that a FICO score of 740 should qualify you for some of the best rates available; the dealer is also right that those third party websites and scores don’t always translate to how loan companies determine the APR. However, a free report from any one of the major bureaus should give you a fairly accurate picture on where you stand. Something tells me the dealer was trying to pull a fast one on you. The reason why they would do so is that dealers can make profit on the loan: it’s called a “reserve.” You could be approved for a lower rate and the dealer can sell you a loan at a much higher rate, if you accept the higher loan the dealer gets to pocket the difference. This is why I always recommend a pre-approval from an outside lender before applying for a loan with the dealership. Right now auto loan interest rates are starting to creep up, but the credit unions seems to be offering some very competitive loans. Just last week I had a client buy a CPO Lexus and got an awesome loan from his credit union for 1.49 percent. The dealer told him upfront they couldn’t touch it and to just bring in a check. Lexus dealers are a little better about not giving their customers the runaround. What you should do is get some kind of pre-approval before engaging with another Dodge dealer. Even if you don’t belong to a credit union, your local bank or major credit card most likely has an auto finance arm that can offer you a loan. If you qualify for something well below eight percent, you now have some leverage and this makes you essentially a cash buyer. After you negotiate the deal, go to the dealer’s website and put in an application online before you arrive. Have them contact you with your approval and your rate. If it isn’t as good as your pre-approval from your own bank, inform them that you will be bringing in a check. Chances are for a new car loan the dealer will go to work and try to match your beat what you already have. Believe it or not, some dealers actually prefer customers with less than perfect credit, as it gives those shady stores an angle to pressure customers into sometimes paying more for things because they are “stuck.” If your credit is strong, the cards are in your hands. Just be sure you know how to play them.